Kidney & Bladder Cleanse Concentrate is a natural way to detox your kidneys and bladder. This concentrated herbal remedy is cleansing to the entire urinary tract. It soothes and nourishes these tissues while flushing irritants and toxins out. The herbal cleanse is also supportive to a healthy prostate. The Urinary Tract includes the Kidneys and Bladder as well as all the tubes to move urine out. Many people are not aware that the kidneys monitor and regulate the body in so many ways. Kidneys work to keep the body in "homeostasis" which means maintaining the same normal balanced state. Your kidneys remove excess minerals and excess hormones from the blood, drug and chemical residues as well as waste by-products of normal body function. The kidneys also produce hormones that regulate electrolyte balance and blood pressure. There are so many toxins entering the environment than ever before and they respond to herbal support for optimal function. 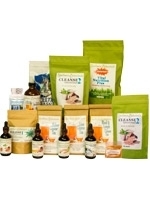 High amounts of chemicals, additives, pesticides, herbicides and other pollutants in our environment and foods all burden our natural detoxification systems. Toxic substances from cleaning, beauty and personal care products and medicines can also accumulate in the body and overburden the kidneys and irritate the bladder and the rest of the urinary tract. Almost nobody's kidneys are operating optimally, and bodies can be greatly stressed by the greater toxic load. These statements have not been evaluated by the FDA. These stories are from customers whose individual results vary. This information is for educational purposes only and is not intended to diagnose, treat, cure or prevent any disease. Consult with your health practitioner if you have a health problem. I want to share an unexpected incredible result I had from the Southern Botanicals Kidney Cleanse Concentrate. I had developed a rash from my neck down to my toes that itched like mad. It kept me awake and despite many pills and creams from my dermatologist it would not quit. Some of the "cures" included statins which made it even harder to sleep. I told my doctor to get me off those as soon as possible. I had so many substances administered that I soon realized I was developing an allergic reaction to them as well. No matter what I put on or in my body the rash got worse. After almost 6 months of this torture I decided to cut out the "cures". I increased my water intake markedly and stopped using any soaps or creams. The only thing that didn't cause a reaction on my skin was coconut oil and I used only that. Things started to improve but some areas were still not responding. It was at this point I that I received an email that sent me to a kidney cleanse website. The information was not geared to rashes but the cleansing of bodily toxins. When I got to the testimonials I was surprised to see that at least 3 people had used the cleanse to handle rashes. 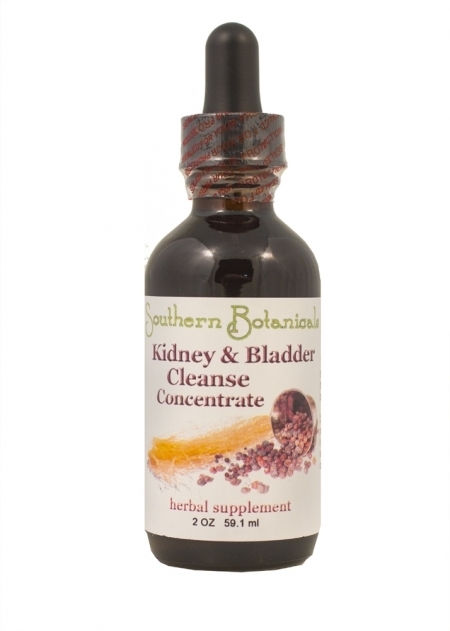 I had a bottle of Southern Botanicals Kidney Cleanse Concentrate. I took it now for the rash. Within several days I could see those ugly itchy bumps decrease in size and amount. It took about 2 weeks and the whole awful episode was fully handled and my skin was clear and very comfortable once more. This was an incredible relief! I highly recommend using this kidney cleanse for anyone who has a persistent rash. The Kidney Cleanse Concentrate is amazingly versatile. When I was undergoing chemotherapy I had gotten a treatment and knew the instructions were to drink 2 gallons of water within I believe 48 hours to flush the toxins out. I followed instructions and drank all that liquid. But it didn't flush out of my body. I felt bloated and as though I needed to go, but I couldn't. This was Very uncomfortable. I weighed myself and I had "gained" about 10 pounds! I phoned the cancer center and they took the message for the doctor. Meanwhile I had to handle this. I looked through my health products and located a bottle of Southern Botanicals Kidney Cleanse Concentrate and another bottle of the Cayenne Concentrate. I had no tea so used hot water and followed the directions using the 2 droppers full of the Kidney Cleanse Concentrate and 2 or 3 drops of the cayenne. Within about 20 minutes I was able to go. As time went on the urine flow increased. It took several days to get back to normal and for my weight to return to where it had been before I got so full of water and poisons. I guess my kidneys just couldn't take all that abuse and just stopped. I was so happy that it worked as quickly and effectively as it did. I hope no one gets into the situation I did. But it's good to know that The Kidney Cleanse Concentrate handled the situation very successfully. Ingredients (*Organic, +Wildcrafted): Juniper berries*, Uva Ursi leaf*, Corn silk*, Horsetail herb+, Pipsissewa leaf+, Burdock root*, Goldenrod flower*, Parsley root* & leaf* in a base of distilled water and certified organic GMO-free alcohol. Juniper Berry supports kidney function. It is antiseptic to tissues in the kidneys, bladder and urinary tract, and is a natural diuretic, flushing excess water and irritants. Good antioxidant. Uva Ursi and is astringent and tones urinary tract tissue. Flushes toxins and irritants from the urinary tract. Corn Silk is a powerful diuretic, and supports kidneys, urinary tract and bladder function. It is also very soothing to these tissues. Horsetail Herb has antioxidant properties that support urinary tract health. It is also diuretic helping to rid the body of excess fluid, flushing out the kidneys and bladder. Goldenrod Flower is often used to soothe muscle tissue, while also flushing excess water and toxic irritants from the urinary tract. Parsley root & leaf is a natural and effective diuretic that helps to purify the blood and accelerate the excretion of toxins from the body. Kidney & Bladder Cleanse herbs include some herbs that are intended for short term periodic use in cleansing. Use for 1-2 weeks at a time, then wait 2-3 months. Good for cleansing quarterly, 4 times a year. Note: This formula is even more effective when used in conjunction with the Kidney Cleanse Tea and the Kidney Cleanse Program. Kidney & Bladder Cleanse herbs include some herbs that are intended for short term periodic use in cleansing. Use for 1-2 weeks at a time, then wait 2-3 months before using again. Increasing urinary output and flushing the kidneys may decrease potassium levels in the body, so it is important to replenish potassium while cleansing. High potassium foods to eat include beets & beet greens, lentils, yogurt, potatoes, sweet potatoes, pumpkin and other winter squashes, broccoli, brussel sprouts, dark leafy greens, coconut water, bananas. Use of horsetail for extended periods may cause Vitamin B1 levels to drop. Supplement with B1 in this case. Do not drink alcohol regularly while taking horsetail. If you are taking medications or have a medical condition, consult your healthcare practitioner before use. If there are indications of possible kidney impairment, have your kidney functions checked by your healthcare practitioner before using this cleanse. Start with a low dose with your healthcare practitioner's agreement and work up slowly. If you have serious kidney problems or have been diagnosed with kidney disease, you should consult with your doctor before doing this or any cleanse. Consult with your doctor or dietician and work with them to find a diet protocol tailored to your needs. Symptoms of Overloaded Kidneys... Do you experience any of these?